One rainy night in October, one bright idea for dinner. Roasted butternut squash, pureed and slightly thinned into soup. 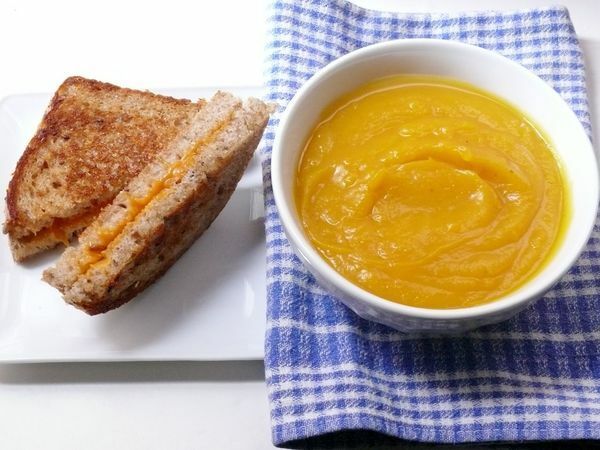 Orange, aged cheddar, grated coarsely and sandwiched between double-side-buttered bread. And more of that cheddar pressed onto the outside as it fries to form a crust.